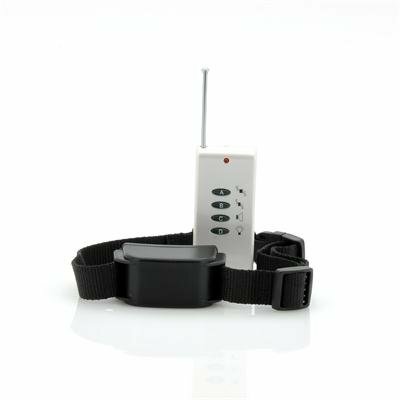 Successfully Added Dog Training Collar - Vibration, Anti Bark, 130 Meter Range to your Shopping Cart. 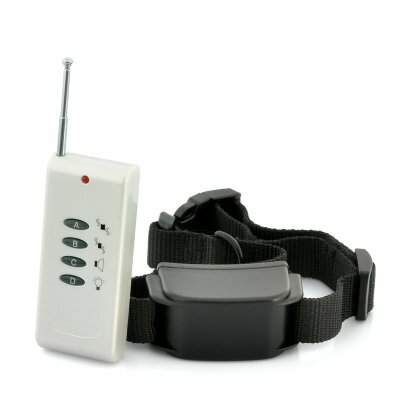 Dog Training Collar with vibration and sound signals and 130m range. Train your dog in an effective and easy way. This dog training system is the perfect way to train your dog not to bark and to obey in a harmless and effective way. Send a sound signal or vibration to your dog to positively enhance his behavior. The wireless remote control has a range of 130 meters in optimal conditions and lets you send choose between two vibration intensities and a whistle tone. Instead of shouting for your dog to return all you will have to do now is press the remote to generate a vibration and your dog will automatically be warned. Please note that the device doesn’t cause any undue stress or harm to your pet. Train your dog in a effective way with this vibrating collar. In stock now, order one today and we’ll ship it out within one working day. Brought to you by the leaders in wholesale Chinese electronics and gadgets for pets, Chinavasion. This product will not harm your pet in any way. Vibrations are sent out and will give your pet a vibrating feeling around the neck.